Matt Graham joined the Perisher Winter Sports Club mogul program as a six-year-old and immediately displayed a natural ability, dominating Australian junior events. His first venture onto the world stage at fifteen was rewarded with 27th place in his World Cup debut in Deer Valley, USA. 2013 was a breakthrough year for Matt, where he demonstrated his ability to reach podiums at the highest level with a stunning fourth place at this first World Championships in Voss, Norway and finishing seventh at the Sochi Olympic Test World Cup event. Graham lists representing Australia in the 2014 Sochi Olympic Winter Games as the proudest moment of his sporting career to date. His first Olympics resulted in a final where he took seventh place. He followed onto the 2014/15 season winning his first World Cup medal (silver) in Deer Valley, Utah, USA finishing the year ranked fifth in the overall Mogul Skiing World Cup standings. By now Graham was being recognised for his multiple top finishes in a field that boasts multiple Canadian World Cup winner, the dominating Mikael Kingsbury. Matt Graham won the 2016 Ski and Snowboard Australia Athlete of the Year award after an outstanding and consistent season 2015/16, which saw him win a World Cup in Deer Valley beating Mikael Kingsbury and finish second overall in this season’s Moguls World Cup. The 2016/17 season began in early December with a silver medal in Ruka, Finland. At the end of January 2017 Graham repeated his victory over Kingsbury in Calgary winning another gold medal and stood on the winner’s podium with team mate Britt Cox – creating an historic double win for Australia in ladies and men. Graham headed into his second Olympic Games as the third ranked mogul skier in the world with four podium finishes from seven World Cup starts that season. 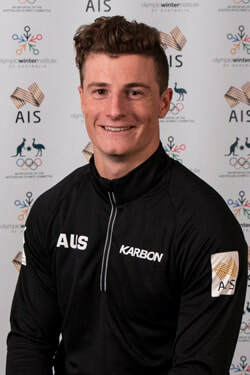 In PyeongChang, Graham became Australia’s 11th Winter Olympic medallist and only second mogul skiing medallist when he won silver with a great run in the final. Proudest moment: Representing Australia at the 2014 Sochi Winter Olympics. I began my sport ... when I was 7 years old in the Perisher Winter Sports Club. When I am not training or competing I am: Making the most of living on the Central Coast of NSW. I try to get in the water as much as possible whether is it surfing, out on the boat water skiing and wakeboarding or going for a sail. I enjoy my sport because it is fast paced, intense and is extremely hard to do. Education: I am currently studying a combined degree in Civil Engineering and Business at the University of Newcastle. Favourite international competition: The Deer Valley World Cup, unless it an Olympic year and then that takes the cake. Favourite Food: A big juicy steak. Favourite Music: It really depends on the mood and what I have coming up. Favourite other sport to watch or play I grew up as a sailor, so that is probably my second sport behind skiing. I love following the America’s Cup. Favourite sporting team The Sydney Roosters. My hero is any sporting person who has shown greatness in their chosen sport. Sponsors: IFM Investors, Oakley, IDone Ski’s, Dalbello Ski Boots, Marker Protection, XTM. Childhood Ambition: To win an Olympic Gold Medal!